OllyPlanet was founded in 2008 as a children’s clothing company with a positive message. Founder, Maria White, believes that it is possible for everyone to have a positive impact on the world around them. She created the character of Olly to show children how they could have an impact. Children are exposed everyday to negative and shallow entertainment and advertising. 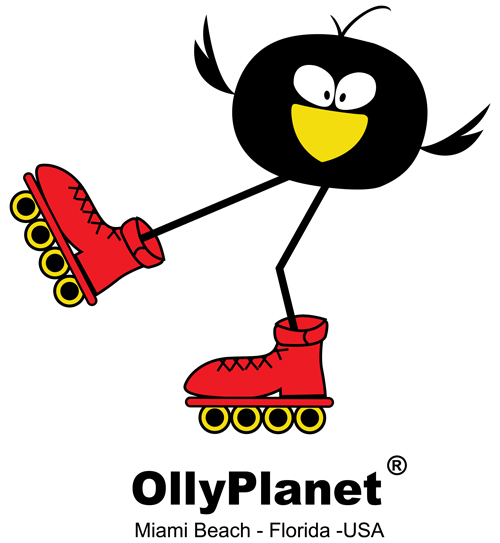 Olly is a spunky little bird that teems with a sunny attitude and encourages children to improve their community. Cute cartoon characters abound but few positive ones and none that are based in a child’s own community. Olly speaks to children living in and visiting Miami and the Beaches. He teaches them about the natural environment and the fun and educational opportunities in the neighborhood. Olly is an ambassador, concierge, tour guide, teacher and friend to children.